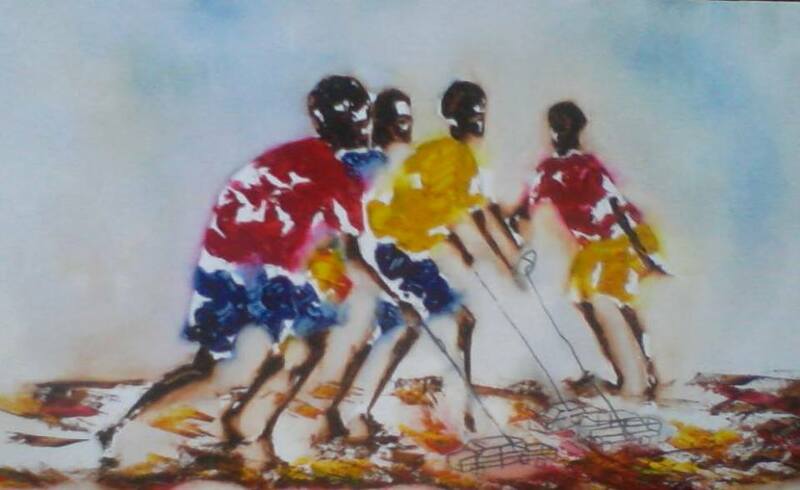 George Masarira is a 23-year-old artist from Zimbabwe. He was born in Gokwe but sadly lost his family at a young age. He says that he always wanted to be an artist and went to the Mzilikazi Arts and Crafts Centre in Bulawayo to study. The centre was first established in 1963 to provide an all round education but especially to encourage young people with artistic talent. George’s work is bright and colourful, focusing mainly on street life. 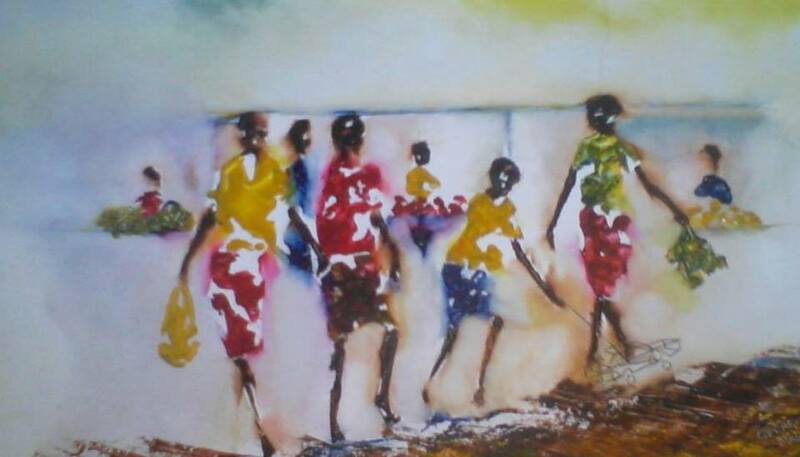 He loves to paint women going about their daily lives because, he says, its a way to express the joy of a loving family that he wasn’t able to have himself . His tough life has helped forge his talent and his scenes are a true representation of daily life, women chatting, children playing, a mother carrying her child on her back, all in bright colours that reflect the African sun . 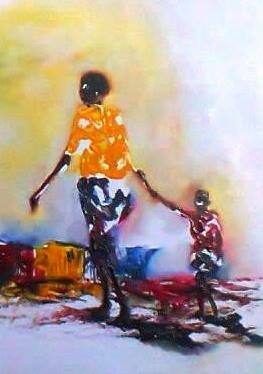 You can find more of George Masarira’s work on his Facebook Page. All art works are available to buy. Penguins are officially the most fun creatures in the world and this little baby has got to be the cutest. Meet our very own ‘Baby New Year!’ We’re thrilled to announce that a brand new African penguin chick arrived at Adventure Aquarium on Sunday, January 5, having hatched overnight to parents Minnie and Kamikaze. Late Saturday, Aquarium biologists knew that a hatching was imminent, having heard soft “pipping” sounds from inside the egg as the chick readied itself to hatch by chipping away at its shell. Sure enough, biologists arrived Sunday morning to see that the little chick had hatched overnight! And at a healthy 72 grams (2.5 ounces), it’s doing exceedingly well – strong, vibrant, vocal and very mobile for only being about a day old. To give you a size comparison, the penguin is so tiny that it can fit in the palm of your hand! The “Big Five” Game of Africa refers to five animals that are the most difficult or dangerous to hunt by foot. 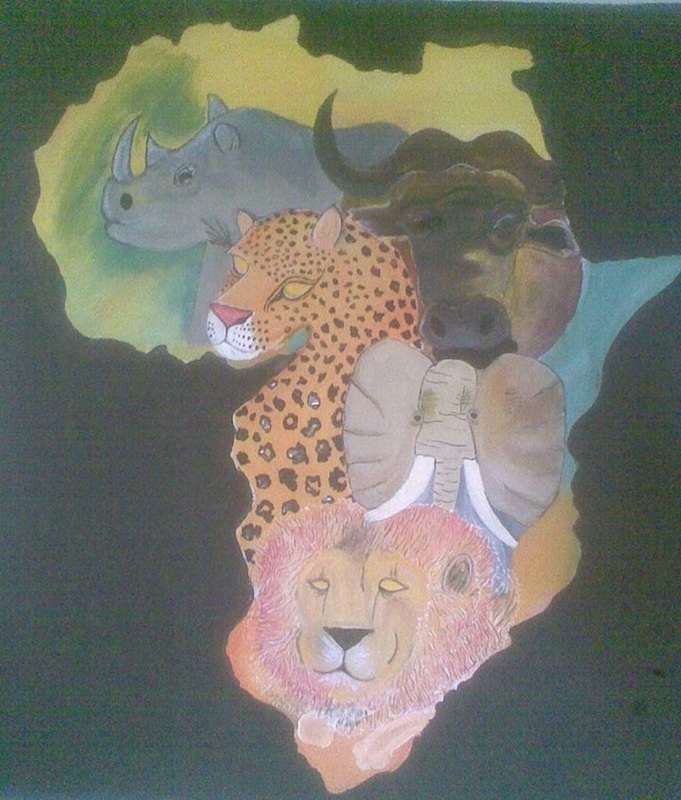 They are the Lion, African Elephant, Leopard, Black Rhinoceros, and Cape Buffalo. Thus Big Five does not refer to the largest. Of these the Water Buffalo is perhaps the most surprising to people. It seems like a relatively docile animal but it is often considered to be responsible for the most hunter deaths of any big game animals. But rather than hunt and kill these amazing animals they should only by “shot” by camera. It would be much more sporting to get a “selfie” with each of the Big Five, but much easier to get this beautiful painting. Malawi is one of the few countries that has all 5 of the Big Five naturally in its borders.